The tribute was organised by the Muslim Institute, an NGO aimed at promoting peace and stability in the Muslim world. 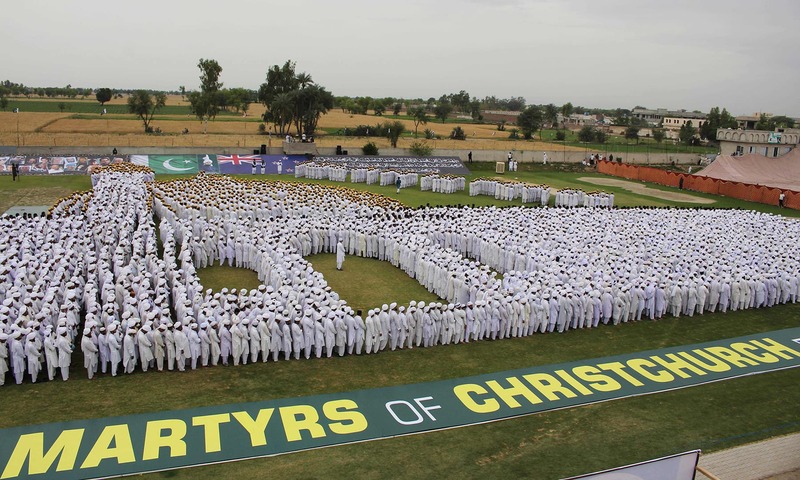 Thousands of people clad in white gathered in Punjab's Jhang district on Friday to make a human image of Christchurch's Al Noor mosque, where 50 people were killed by a white supremacist four weeks ago. 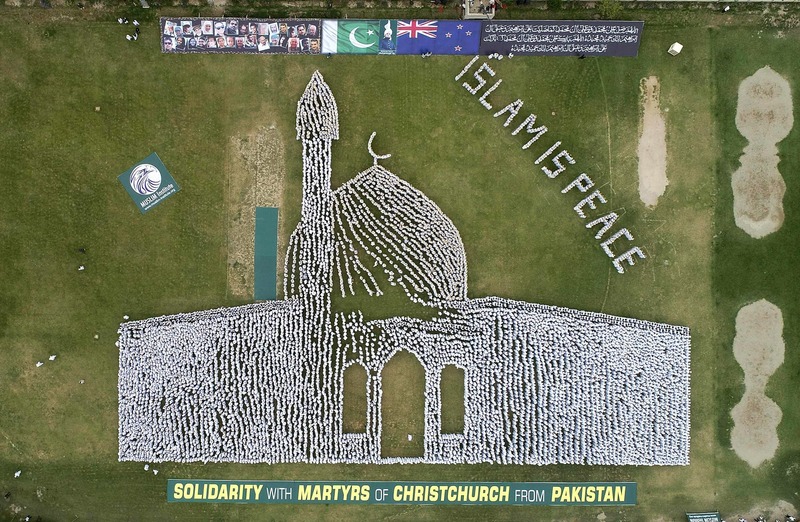 Drone images showed worshippers standing in formation, their snow-white traditional shalwar kameez and prayer caps in stark contrast to the emerald green of a public field, as a second group formed the words “Islam is peace” nearby. 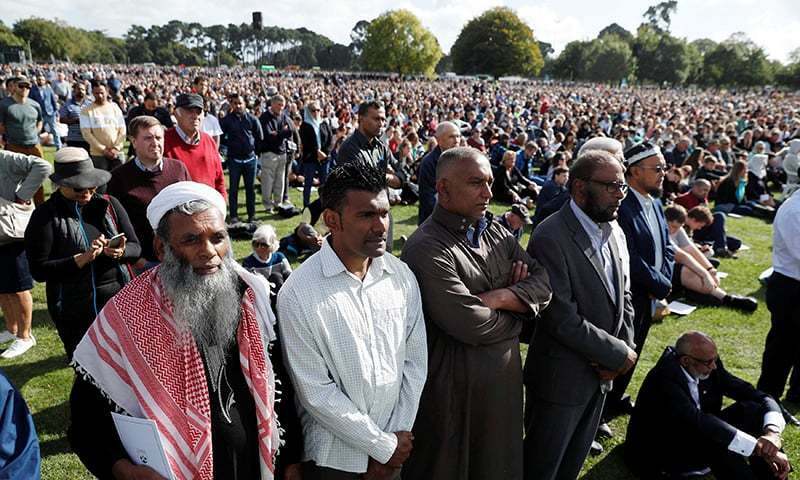 Tribute organisers praised the New Zealand government after what had been a “very tough time” for Muslims in the country — especially Prime Minister Jacinda Ardern. 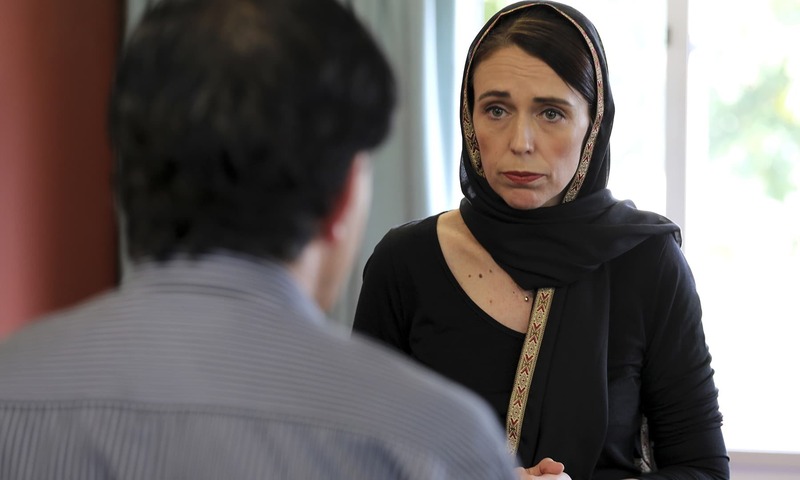 Her response “not only soothed the wounds of Muslims but also assured them that Muslims in their country are safe”, Sahibzada Sultan Ahmad Ali, a religious scholar and one of the organisers, told AFP. 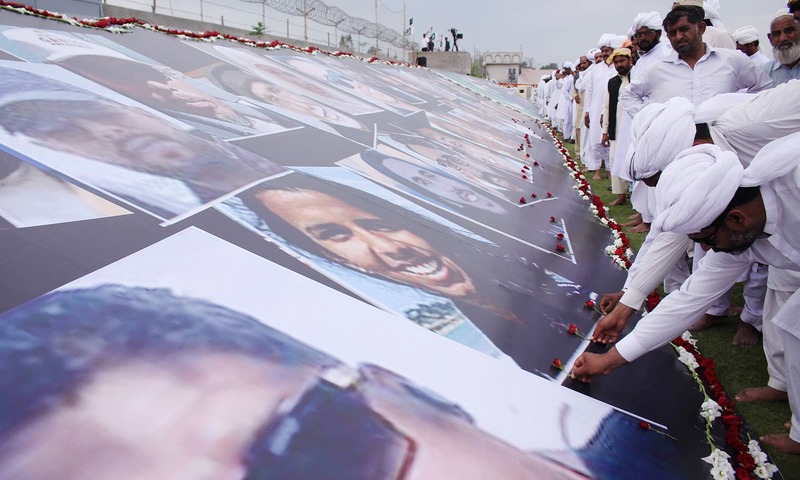 “We worked really hard to make this model,” one participant, Noor Hassan, told AFP of the tribute. “It was so pleasant that we were ready to stand like this for the whole day,” he added. The better response would have been to make human chains around churches and temples to show we will protect them and give similar respect to our minorities. Terrorist massacred two mosques in Lahore where scores of innocent lives were taken. I am sure all human beings are same every where in the world. We all condemn such terrorists attacks with consistancy. very creative. very inspiring. Keep it up. That is marvellous, that is significant in terms of standing by. First time ever such an event to show sympathy & support. Great! They should do the same for the Hazara bombing victims in Quetta. Appreciate good gesture rather than deflecting inanely! Truly entertaining how Indians get upset at every positive news from Pakistan and use fake names to post hateful comments. We are the world champion when it comes to symbolism. Let’s see what we do for Hazara people. Mashallah so beautiful, will do the same for temples and churches in Pakistan, so much more love we have for our minorities in Pakistan due to actions of New Zealand PM. @Yes Right , I'm a Muslim and millions of my Pak Hindu live with us in Sindh. Don't worry and fall into false propaganda, since you have not visited Pakistan it's all propaganda by media in India has done a bad job for you. Go take care of Kashmiri Muslims please, we can see what's happening blinding people with pellet guns, raps by Indian Army, killing of youth and old etc., all under army special power act of India shameful for you to preach over here. Leav my Pak Hindu family with me, I will defend them with my life, even my best friend is a Pak Hindu. Good initiative. Where are the women? 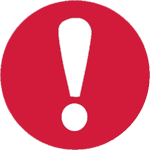 @Mazhar.A.Khan, yes every effort gives a healing touch to the wounds opened by terror. Someone had suggested IK follow what New-Zealand pm did aswell. How about Quetta Massacre? Are we going to give them same tributes? Now this is what called serious efforts towards peace and gesture to bremember. Excellent and remarkable work by the NGO who put all this in show of solidarity.Tremendous work. Please don't kill anyone whatsoever religion they belong to. 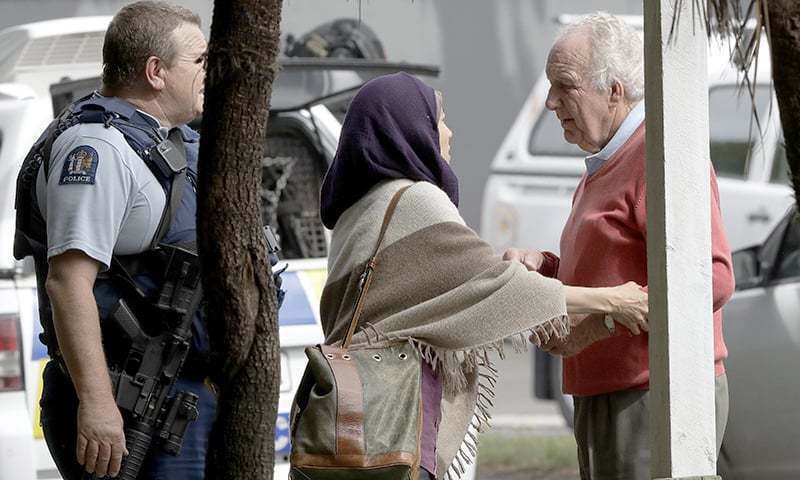 NZ PM set an example of love and peace, this leader reflect the peaceful citizens of that country. We appreciate the creative of Tribute Organisors who organised such an event and I saw first time in Pakistan.They worked really worked hard to make said model successful.One of participants paid a tribute and said" It was. So pleasant that we were ready to stand like this for the whole day." Great show of solidarity for interfaith harmony.. It would certainly help improve sectarian-ism both inside and outside the country!!! @jaredlee007, You must be joking. Look around the world with open eyes. this is how you build bridges .Peaceful and powerful message. Not a woman in sight. Great show, but is it also to show solidarity with Hazaras of Quetta? Remarkable feat for a small rural town in Pakistan!